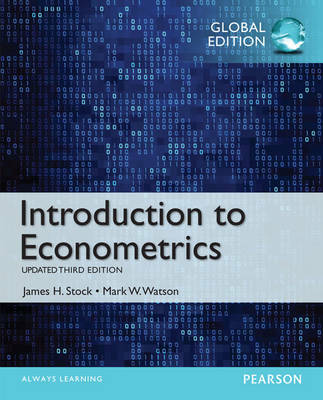 Author(s) Stock, James, H.; Watson, Mark, W.
The 3rd Edition Update maintains a focus on currency, while building on the philosophy that applications should drive the theory, not the other way around. Keeping it current with new and updated discussions on topics of particular interest to today’s students. Presenting consistency through theory that matches application. Offering a full array of pedagogical features.